Prime Minister Prayut Chan-o-cha said on Tuesday (Jan 30) that he had ordered the Energy Ministry to suspend the controversial coal-fired power project in Thepha district of Songkhla and to search for alternative energy sources after the project was met with stiff resistance from local residents. 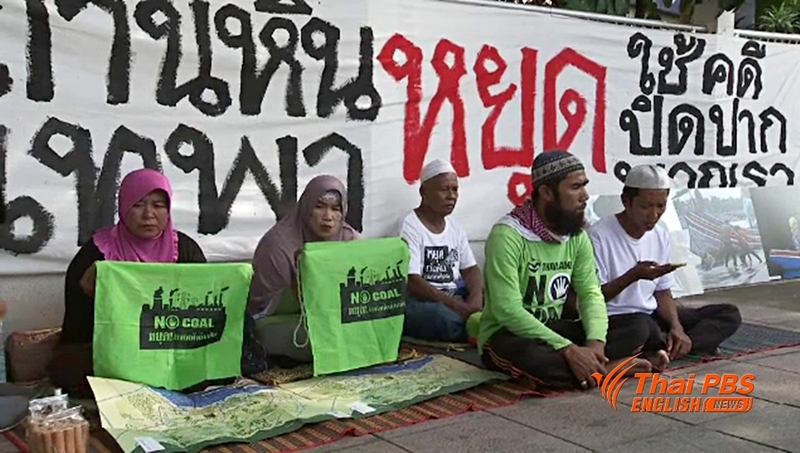 However, opponents of the project, known under the name of Network of Songkhla-Pattani Residents Against Coal-Fired Power Plant, said that they would carry on with their protest near the Government House for the next four months as originally planned because they wanted the project to be scrapped for good, not just suspended. Mr Matthayom Chaitem, a representative of the protesters, said Tuesday that the group was awaiting a formal announcement about the suspension of the project from the agencies concerned. Once there is a formal announcement, he said he would return to Songkhla to consult with local residents about how they should move. But he made clear that if the project suspension was meant for the Energy Ministry to rehash the project and to revive it again, the network would never accept this approach. For the time being, Mr Mathayom said the protesters would stay on at their protest site near the Government House for, at least, another four months in order to inform members of the public about the adverse impacts from the coal-fired power plant project. The Thepa coal-fired power plant project was the brainchild of the Electricity Generation Authority of Thailand. The project which was designed to have the capacity to generate 1,100 megawatts of electricity was slated to become operational in 2021. The project site is located on 2,960 rai of land on the coast of Tambon Pak Bang, Thepa district of Songkhla. There is a pier for the handling of cargo vessels carrying imported coal for use in the power plant.